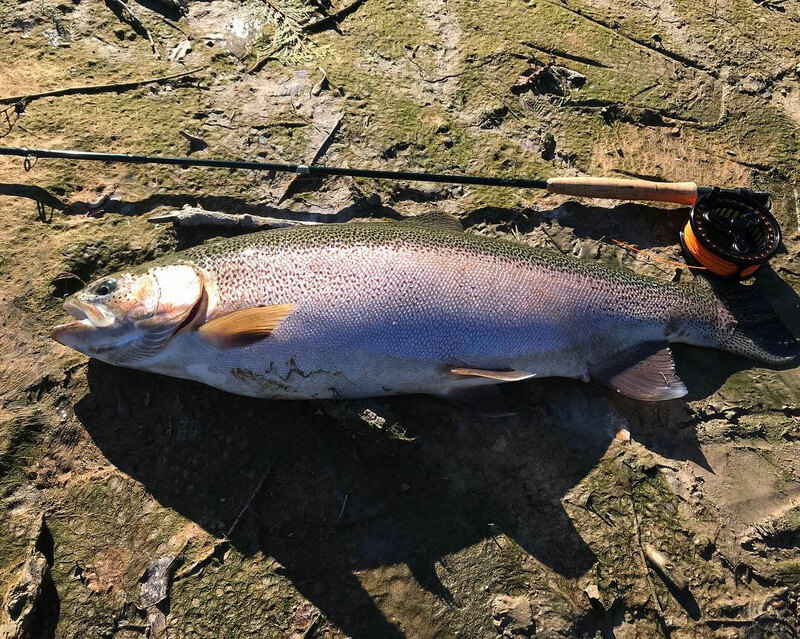 Most of the fisherman who have fished or have a notion to fish Slovenia, are focused on breath taking gin-clear Rivers or prominent chalk-streams. Passing on the notion of coming to Slovenia to fish a lake, could be an opportunity wasted. The ones who dip into this realm and get to experience the Slovenian lake – catching up a title “Jurassic lake” - come back to us from the day fishing with ear to ear grins and a phone filled with big fish photos! We could vouch for the lake to be one of most prolific trophy wild trout waters in Central Europe. Let us show you what you are missing! Perhaps the least boring factor is the big fish potential. Every year our clients and guides catch 6-8-pound trout and sometimes even larger. We have yet to meet a client that had a bad time watching a 2-plus foot Rainbow or Brown trout cruise the flat, taking the midge pupa and jump start into backing. Besides, these fish are no hatchery fish! They are wild trout, as a result of natural reproduction and get huge on the bountiful food supply that this lake produces. The magical mornings, where you may see pods of really big trout cruising the edges, feeding on mayfly nymphs, emergers, and rest-over of the previous day. As the midge hatch unfolds, the shallows get covered with cruising fish - sight fishing for these fish can be an amazing up close and personal experience. From ice out through August these lakes provide some dynamite fishing. All fly fishing is done floating belly boat or when conditions allow, wading or standing on the bank. Guests fish one or maximum two anglers per guide. We provide belly boats for rent. If you are interested in hearing more about the variety of lakes we offer guided trips on; give us a WhatsApp Call at +386-41-360-016 or contact us via e-mail.